Derways is an automotive company specializing in the production of Chinese cars. It is located in Cherkessk, Karachaevo-Cherkessia. 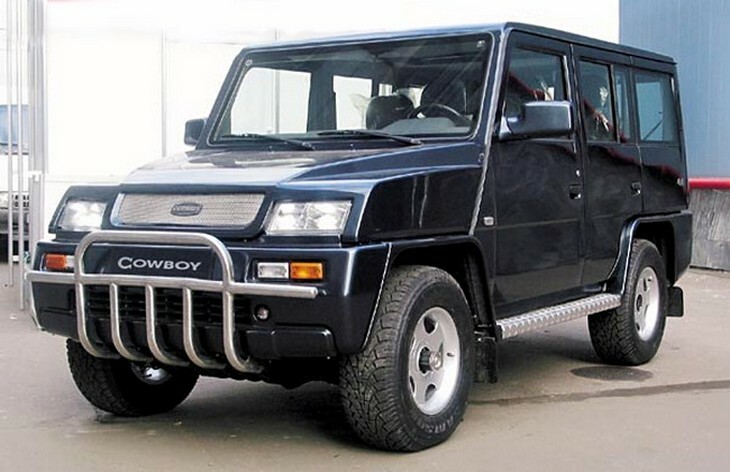 2003 - assembly of the prototype off-road car Derways "Cowboy" (Derways 3131), first exhibited at the "Russian International Auto Show" in Moscow. The car was built on the Romanian chassis ARO, and later used Chinese chassis. "Cowboy" passed all the tests at the NAMI training ground and received a certificate. 2004 - the opening of the plant and the beginning of mass production of cars. By the end of the year, the car factory is approaching the design level of production - 5,000 cars per year. 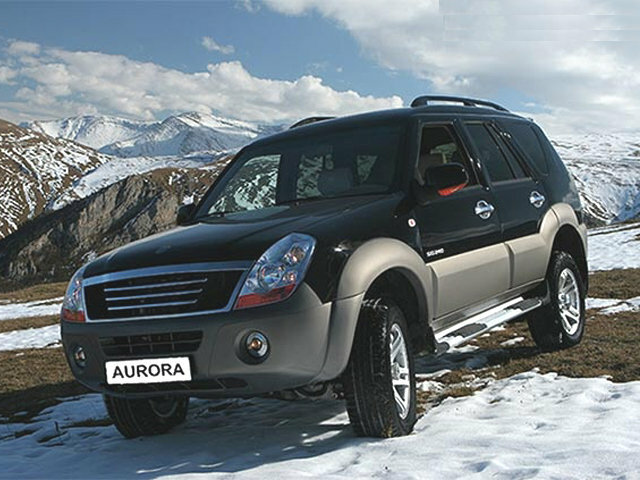 2006 - the plant suspends production of Derways "Cowboy" due to the bankruptcy of ARO and begins localization of Chinese cars. They were Derways-313120/313121 Shuttle (320 cars), Derways-313150 Aurora (351 cars produced), Derways-313130 Land Crown (Xinkai HXK 2031E - copy of Toyota Land Cruiser 90. 33 items produced) and Derways-313140 Saladin (A copy of Zhengzhou Nissan, produced 38 copies). Total produced for this year 788 cars. 2007 - the plant starts the production of the Derways-233300 pickup truck. Plutus is a copy of the Chevrolet Colorado. A tripartite agreement was concluded with Lifan and the group of companies "Autoworld" to assemble SKD-sets with the transition to the CKD-assembly in the amount of at least 25 000 cars per year, starting from 2009. The plant was modernized and Lifan Breez cars assembled. 2009 - full cycle production started including welding, body painting and complete assembly of Lifan-7131A / 7161A Breez hatchbacks, performed at the facilities of the Derways-1 plant. In 2010, another line with a capacity of 25,000 cars a year was launched in the fall. The production of Haima 3 cars of the Chinese company Hainan Mazda was started. According to plans before the end of the year 900 sedans and Haima 3 hatchbacks should come off. In the beginning of 2011 the third model of Haima 2 was launched, it was made based on Mazda 2. In 2015, due to a drop in sales of Chinese cars, production was halved. In November 2010, 51% stake in Circassian automobile factory "Derways" went into the ownership of "Sberbank of Russia". Initially, the company produced cars of its own design. As of mid-2015, all their own cars were discontinued. The factory assembles cars of Chinese manufacturers - Lifan, Chery, Geely, Brilliance, Jac, DFL, Hawtai. "Derways 313101", "Derways 313102", "Derways 313105"
"Derways 313120" (DADI Shuttle BDD6491E) (based on the Chinese Dadi Shuttle all-terrain vehicle).